HollywoodChicago.com chatted with Deon Cole, after he hosted “The Conan Writers Live” on June 12th at The Laugh Factory, the first night of “Just for Laughs Chicago” festival. HollywoodChicago.com: How does your childhood on the south side of Chicago inform your comedy today? Deon Cole: It’s about being observant, being an only child and using what I observed to filter into my comedy. HollywoodChicago.com: What was the specific ‘a-ha’ moment for you, when you recognized you could do comedy for a living? Cole: A friend just asked me to go on stage, I went on, and it just happened. I was just smitten, I was just ‘wow.’ My friend actually made a bet with me, and I went on from there. HollywoodChicago.com: What was the first joke you told in front of a microphone, and what was the root of that joke? Cole: It was a joke about a commercial on TV, about ‘Sunny Delight,’ and I just gave my point of view about it, what I thought ‘Sunny Delight’ should be, based on that commercial. HollywoodChicago.com: What was the professional break you got that led you to ‘The Tonight Show’ stage? Cole: It was a snowball effect, with a lot of other things I was doing. It was actually a little bit of who I knew as well. I knew J.P. Buck [stand-up comedy booker for Conan’s run on ‘Tonight’] and when he got a job over there, he thought of me and brought me in. That was it. HollywoodChicago.com: How has being a writer for ‘Conan’ changed your comic perspective? Has that discipline made you a stronger performer? Cole: Absolutely. It’s made me think broader and crisper, and gave me a format to work in, different from stand-up, which was just my thoughts. It’s the way my thoughts work within that format, that’s what I’ve learned. HollywoodChicago.com: Now that you’ve traveled far and wide, what feels best when you come back to the old neighborhood in Chicago, or Chicago in general? Cole: It’s just Chicago in general, everything Chicago makes me feel at home. I’m so Chicago, that even in Los Angeles I keep my clock and watches on Chicago time, so every time I look at them I have to subtract two hours. [laughs] So it’s great to look at my watch right now and think, that’s the real time. 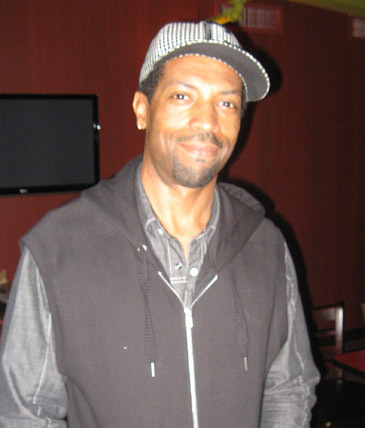 HollywoodChicago.com: Have you ever experienced any different treatment as an African-American comedian during your career, or is funny finally just funny and all the lines are blurred? Cole: Funny is just funny nowadays. There is just so much going on in the world that everyone is coming together. It’s the same thing with music as in jokes, everyone is just getting it. There are two opportunities to see the Conan O’Brien writers on June 13. 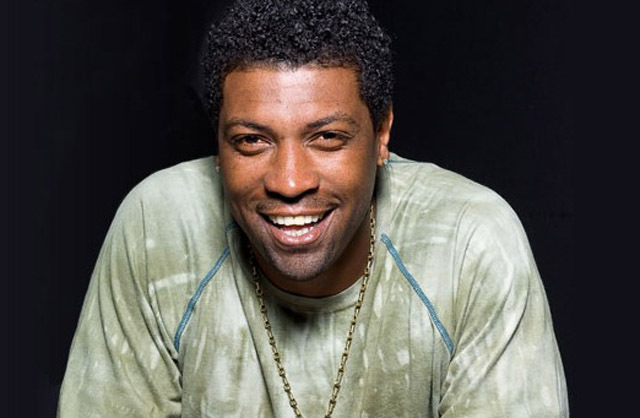 Click here for information regarding “From Conan: Writer Deon Cole and Friends.” Click here for “Team Coco Live.” TBS Network Presents “Just For Laughs Chicago” 2012, Tuesday, June 12th through Sunday, June 17th. Click here for FULL schedule and ticket information.